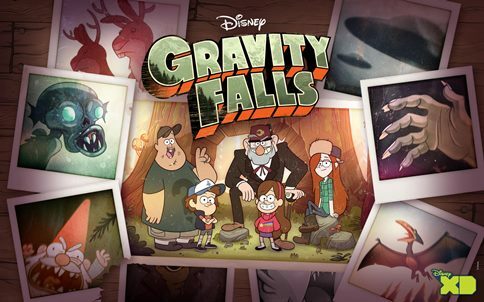 Hello Frequent Flyers and welcome aboard our eighteenth episode, Gravity Falls. You may find as we reach crusing altitude, and you peer out your window, that you see a monster on the wing of the aircraft. This monster is 100% real and you should have read about it in your handy yet mysterious journal. For all siblings aboard the aircraft, we suggest you stick together, because growing up is tough, and sharing an armrest may be even tougher. Also, avoid the gnomes, maybe? Discover the mysteries of our Facebook. Is it an eyeball bat? A weird sentient triangle…or is it our iTunes page? Spotted some mysteries of your own, drop a line or a dollar at the Contribution Page.